However, sometimes there is an underlying conflict within the hospital that is the real issue, and manifests itself in the guise of these restrictions. Untangling the heart of the conflict and exploring paths to mutually beneficial solutions is something staff at the AOM can help midwives with. Is the head midwife supportive? What are the circumstances that have led up to the situation you’re facing? What advocacy efforts have you tried up to this point? Who are your allies and opponents within the unit and at administrative levels? Is there a midwife sitting on the Medical Advisory Committee? What proportion is the midwifery birth volume of the total hospital birth volume? 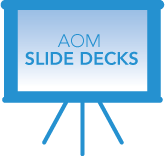 In most instances, the AOM will advise an advocacy strategy that identifies how to influence the primary barriers. The strategy most often begins by working with the head midwife, moves up to the chief of the department, and escalates further up to hospital administration officials who may be able to help (e.g. Ethics Officer, Patient Advocate, VP Patient Affairs, etc.). Engaging local supporters and calling the media are most often the final steps in any advocacy strategy. Sample Hospital Policies are available at the bottom of the members-only protocols page.